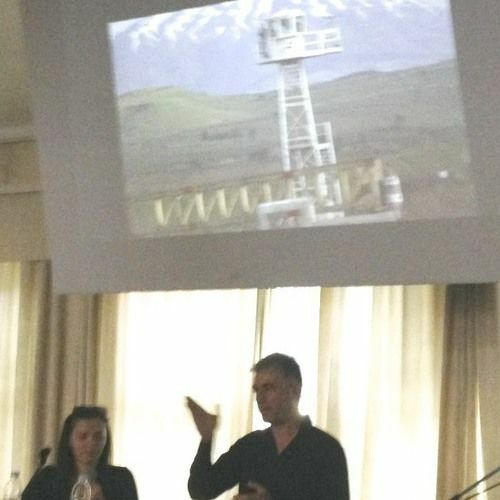 Jasmin Avdagic, the leader of the GAP Church Network, and Attorney-at-Law in his home town, Sibernik, yesterday gave a teaching on how to pray for your nation, and specifically on the historical and spiritual role of his own nation, Croatia. 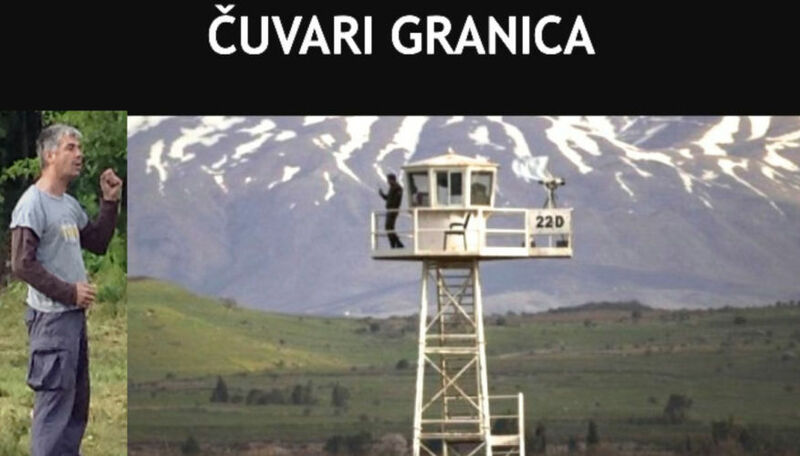 The Croatian term "ČUVARI GRANICA" means "Border Guards"
Citing Acts 17:26-27, Jasmin Avdagic stated that borders and seasons are created by God: - I used to mock other nations, but have come to realize that God´s Word is true: «And he made from one man every nation of mankind to live on all the face of the earth, having determined allotted periods and the boundaries of their dwelling place, that they should seek God, and perhaps feel their way toward him and find him. Yet he is actually not far from each one of us». Jasmin reminded us that people are proud to be something they cannot influence at all, for instance as the t-shirts say: «I´m proud to be Croat!» - We don´t choose our parents, nationalities and such fundamental matters. They are appointed by God with a purpose, so that we may seek and find him, Jasmin Avdagic declared. He then underscored that God gives corporate identity and corporate responsibility: - Jesus speaks to cities, nations, and generations, e.g. Matthew 23:37-39. 24:2 O Jerusalem; Matthew 11:21-24 Korazin, Betsaida, Capernaum where he had conversation with cities; Matthew 12:41 Jesus proclaimed judgement over a generation. There is a specific purpose and destiny in EVERY generation, and we must recognize our time, boundaries, and the boundaries of our authority (e.g. family). - There is diversity in the unity of the Body of Christ, and each expression and unit has a specific purpose, continued the Sibernik lawyer, and gave the beauty and power of modern day Chinese worship as an example. 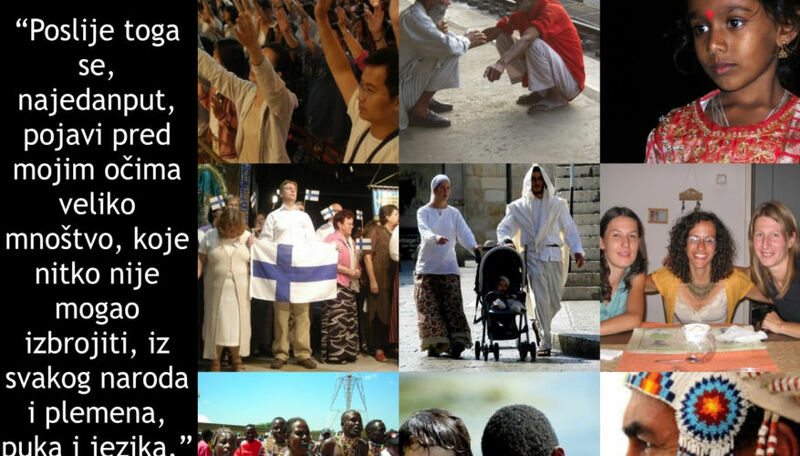 - So different than what we know in Europe, but so powerful! he said. - The diversity in Babylon was a problem, but after God intervened at the day of Pentecost, diversity is not a problem any more, said Jasmin. He then presented the special God-given role in history of the people and nation of Croatia, showing how Croatia through history in her shifting names and alliances has been an instrument of God to preserve freedom and faith in Europe, going from the Roman Empire through Attila & the Huns, the division between Byzantine & the Roman Empire, the time of French Charles the Great, the Church division between Constantinople and Rome, the Ottoman Empire, and until the European Union of today. - Croatia is an invisible wall, ordained by God. This sphere of influence is not because of our human powers or military resources, but because God has given our nation a special role which we need to be aware of as we pray for Croatia, Jasmin declared boldly and called attention to the dramatic history of the Balkans region. - Angelina Jolie´s 2011 movie «In the Land of Blood and Honey» about the Bosnia war popularizes the possible meaning of «Balkan» as Bal=Blood and Kan=Honey. Here in the Balkans there is both war and blood, and blessing and riches. This region is worth praying for, declared Jasmin Avdagic. Powerpoint from Jasmin´s presentation: Revelation 7:9 "After this I looked, and behold, a great multitude that no one could number, from every nation, from all tribes and peoples and languages, standing before the throne and before the Lamb, clothed in white robes, with palm branches in their hands"